Home » DIY/ Crafts » Cricut » Can I Upload My Own Images to Cricut? 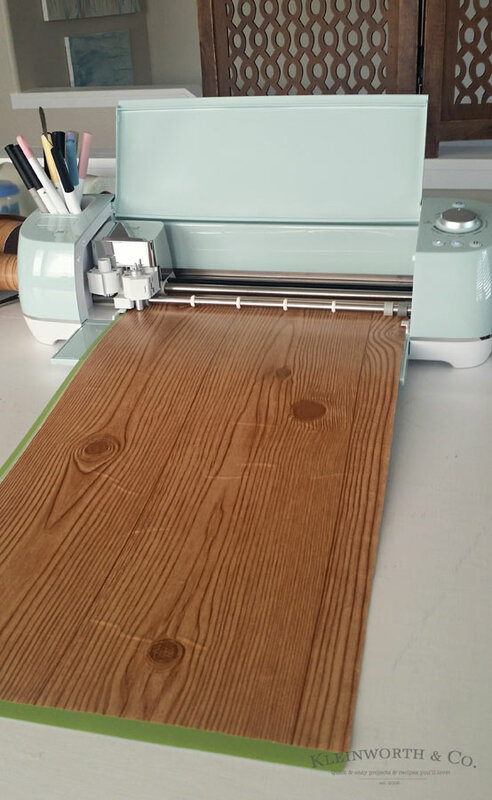 When deciding what cutting machine is best, you way wonder, Can I Upload My Own Images to Cricut? 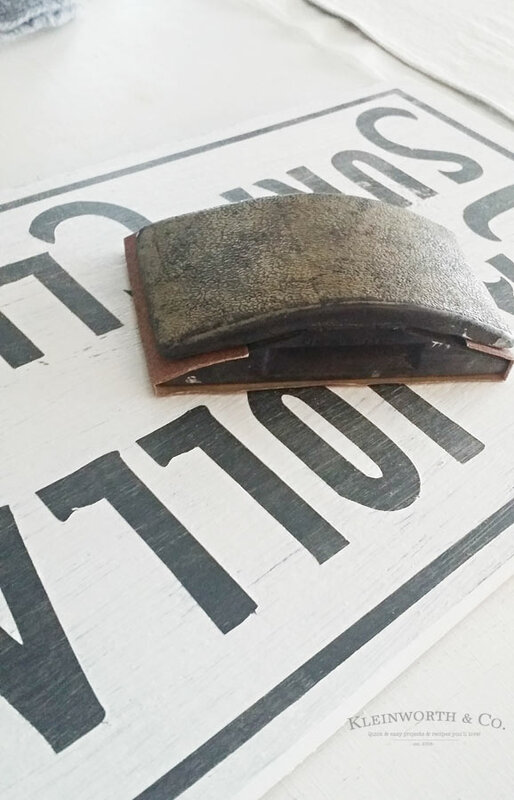 YES- you can & I’m sharing how in this Surfer Sign Craft. Cutting machines came out a long time ago. I still remember when my mom bought the very first Cricut. 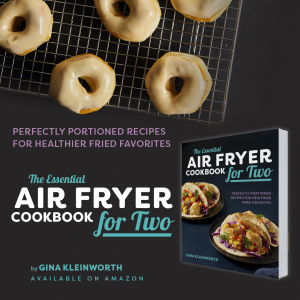 I was amazed by all the fun things you can do with them. But the idea of always needing to buy a cartridge wasn’t what I wanted. Then some other cutting machine options came out & it made me really question which I would choose. 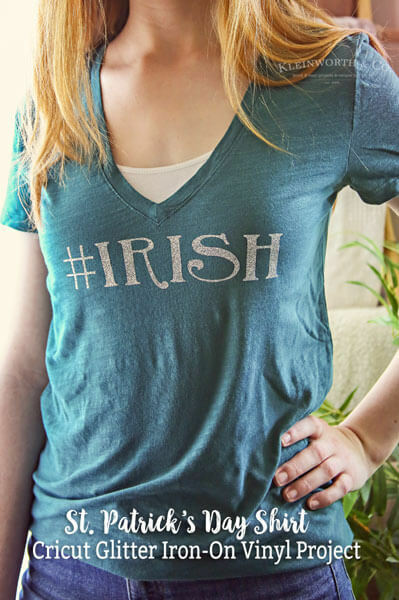 I really pondered for a long time but deep in my heart, I knew I was a Cricut girl. I ended up inheriting my mother’s Cricut many years later but still didn’t use it. It wasn’t until the Cricut Explore Air 2 came out that I jumped in with both feet. 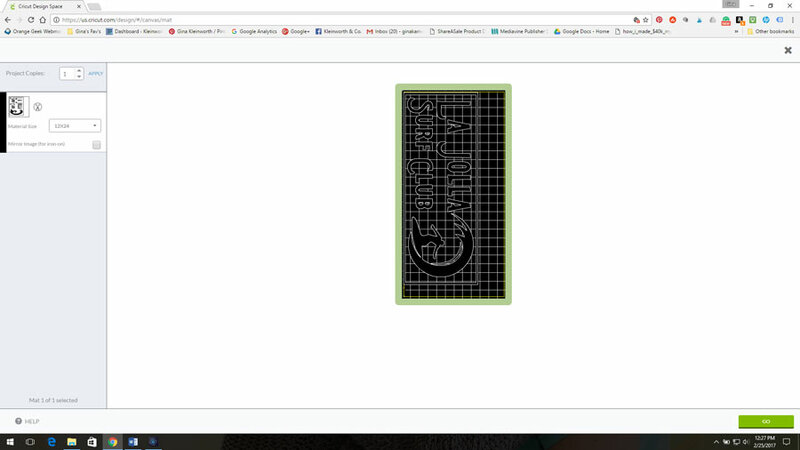 You see, this one solved my question, Can I Upload My Own Images to Cricut? It also connects via WiFi, making it easy for me to work at my desk & for it to cut on my craft table on the other side of my studio. It’s a DREAM! 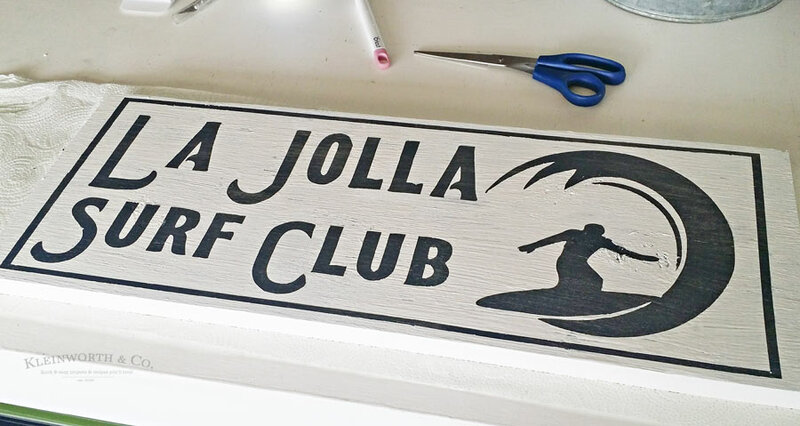 Let me show you how I uploaded my own image & then used it to make an extra large cut file & create this super fun Surfer Sign Craft for my space. 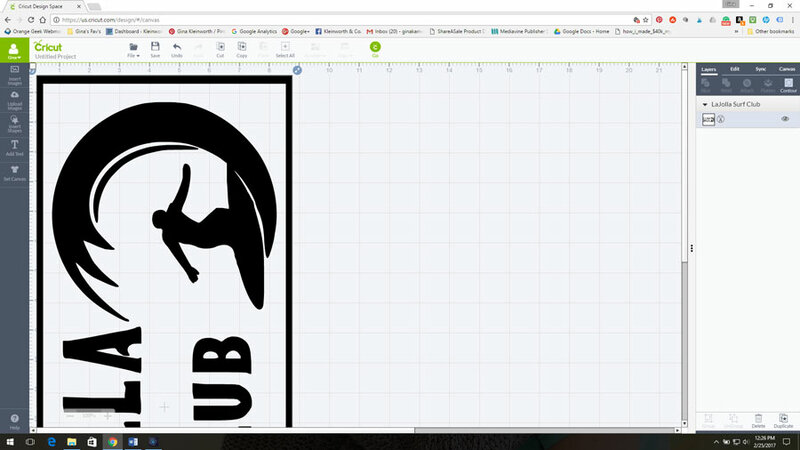 Create your image in whatever software you like, save as a jpg. 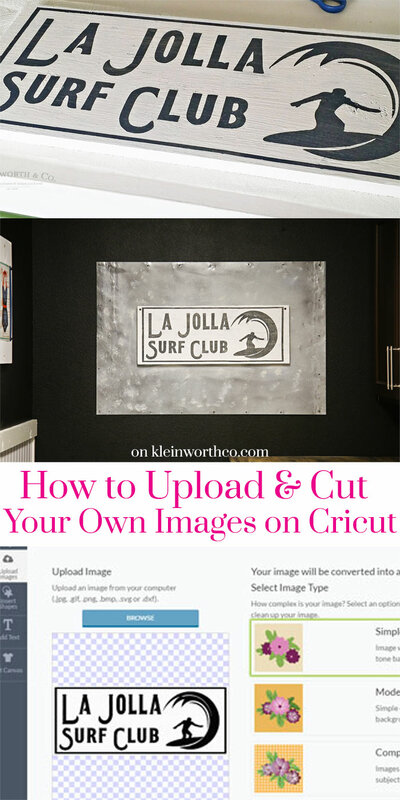 Then upload to Cricut by selecting & clicking upload. 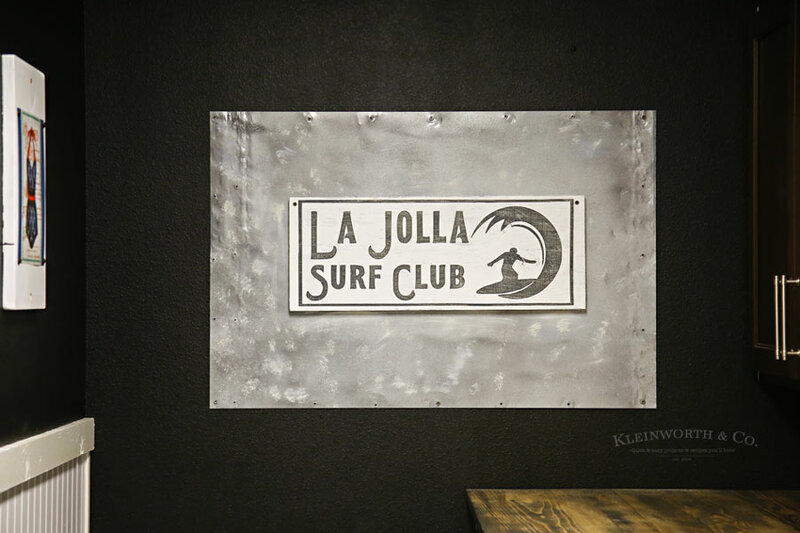 I made this surfer design for our vintage coastal theme home. Just select simple image & continue. 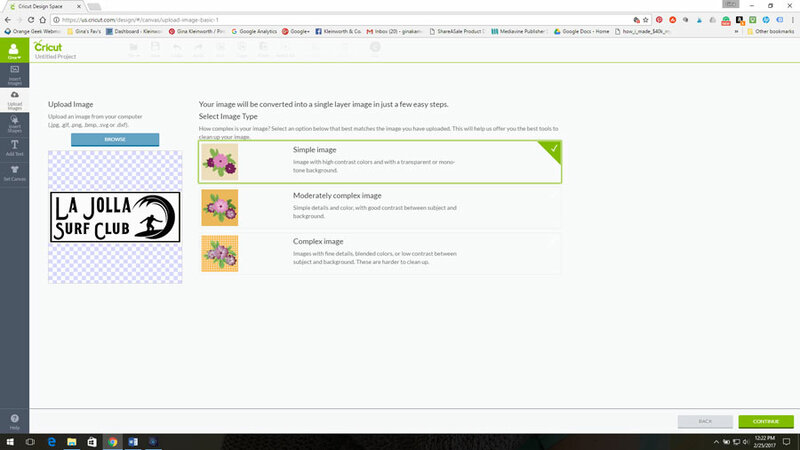 Select the areas you want it to cut away – then click continue. Reposition the image to the size of your project. 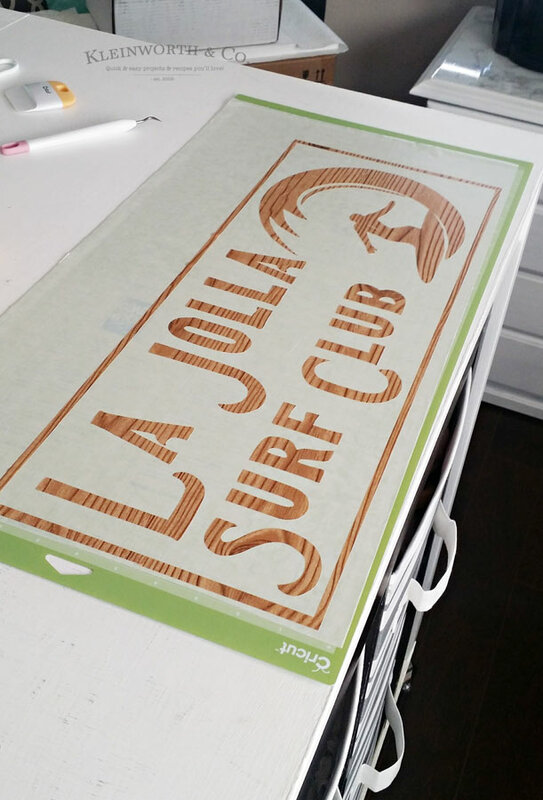 I wanted to make a large sign that is 23″ long so I used my super long cutting mat that is 12×24. It worked out perfectly. Click “accept” when it changes the size of the mat – you want that. 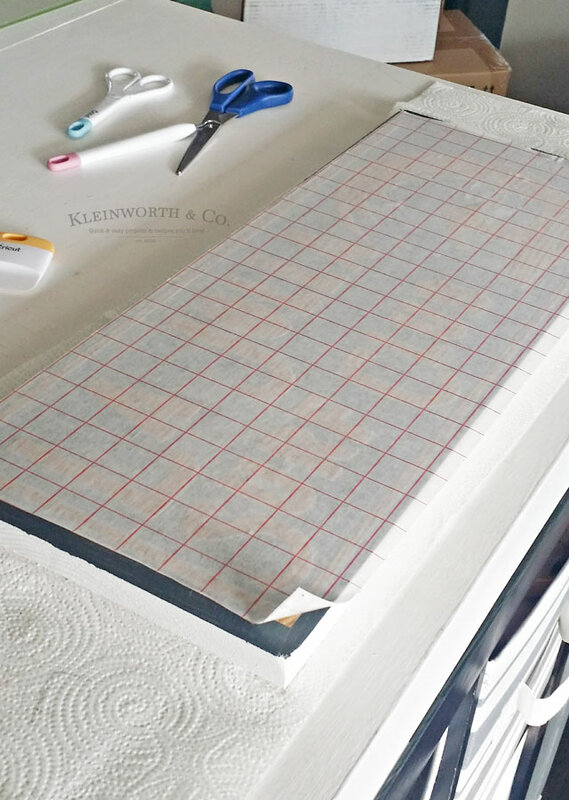 Place your vinyl on your cutting mat & hit Go. Now I didn’t have any vinyl that was a solid roll long enough for this project. So I just used contact paper. It works great in a pinch. It’s not as sticky when it comes to adhering to certain things, but works fine for a stencil like this. Just be patient & work slowly with it. Once it’s cut you can weed off the unwanted vinyl – it will look like this. I had to choose whether I wanted the design to be the dark part of the sign or the light- that is up to you. 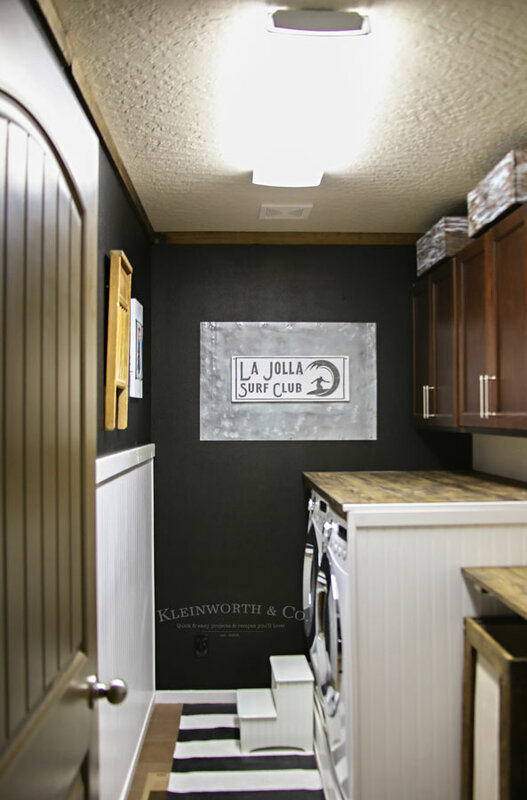 Just pull off the part that you want your top paint color to be. 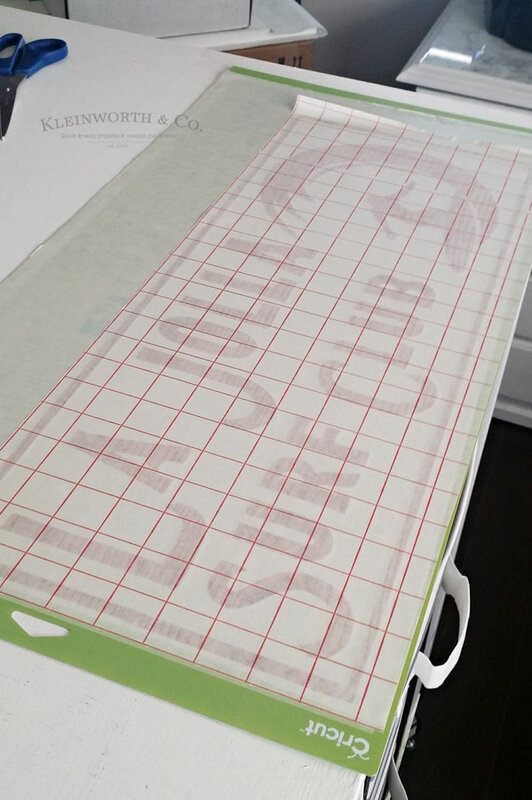 Attach your transfer tape over the top & peel off the cutting mat. Position it on your sign/prepared board. 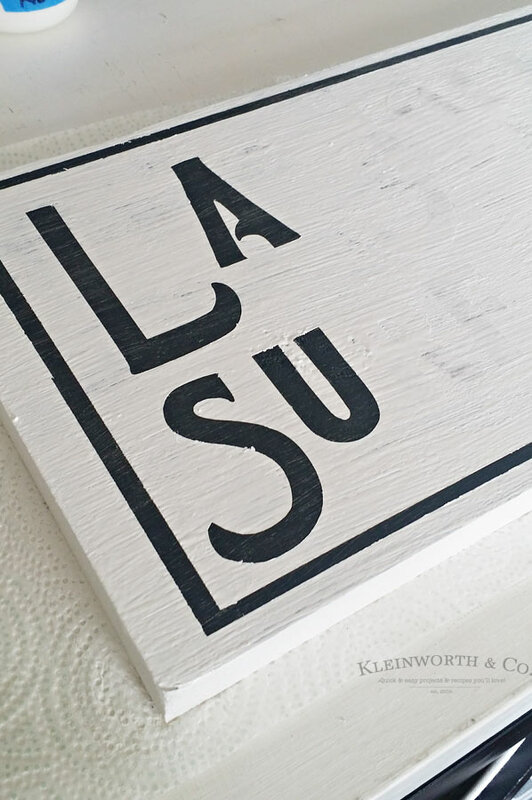 You can see here I already painted my wood plank the gray color I wanted the letters to be. Very carefully peel off the transfer tape. What you have left is the stencil you created. I was already digging the look. I added a layer of Mod Podge over all the edges so I didn’t get any bleed through since I was using contact paper & not vinyl. Like I mentioned before, it’s not as sticky so I was worried about it not giving me a super clean edge. 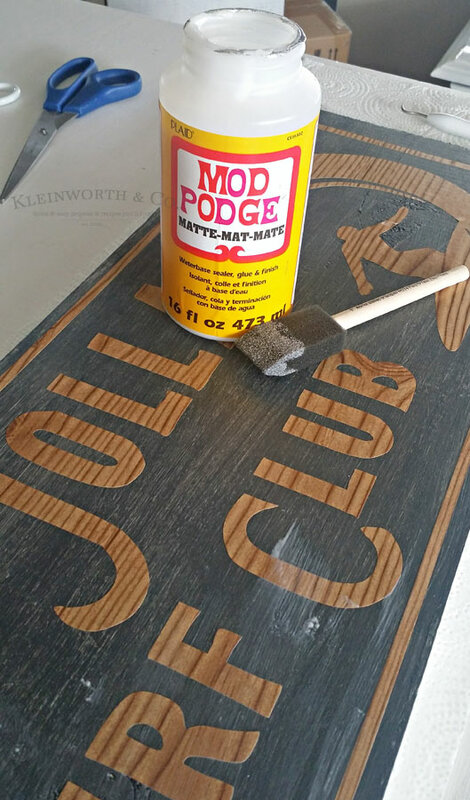 Then once the Mod Podge was dry, I gave the whole thing a nice coat of white paint. I let it dry for maybe 20 minutes. 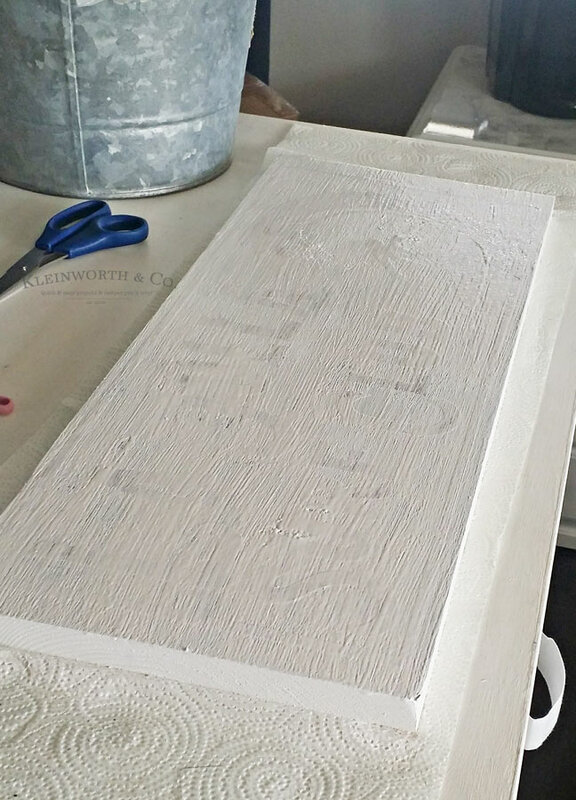 Now it’s time to start peeling off that stencil & revealing what is close to the finished product. Here’s what it looked like when I was done pulling it all off. I grabbed my sandpaper & roughed it up a bit once it was completely dry. I wanted it to look like I had just found it in the back of an old surfer garage or that it had been hanging in an old surf shack for many years. That’s it. Then it was time to hang it. 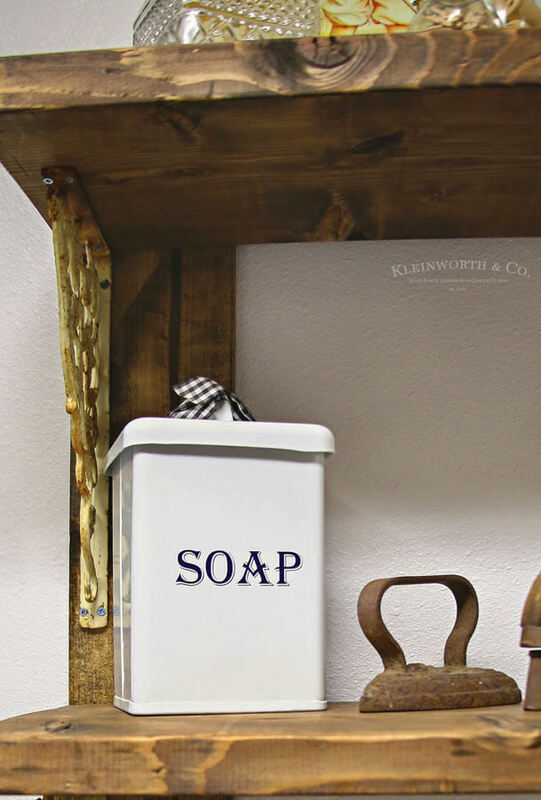 It was still small for this particular wall, so I added a piece of distressed, galvanized metal behind it. It was the perfect finishing touch. So now you know you can literally upload just about anything you can dream up & create. 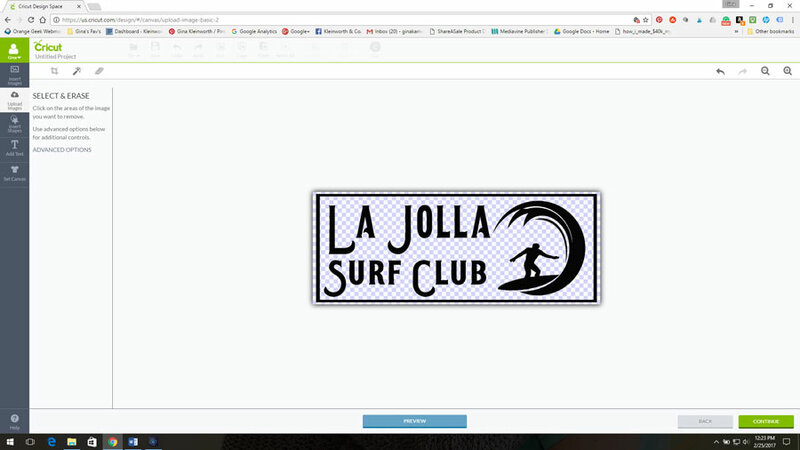 Cricut has SO MANY awesome project ideas & cut images to choose from. But if you have a specific idea in mind & you want to create it yourself, Cricut absolutely is capable of bringing your idea to life. I love my Cricut Explore Air 2! Click here to download the image & make your own. 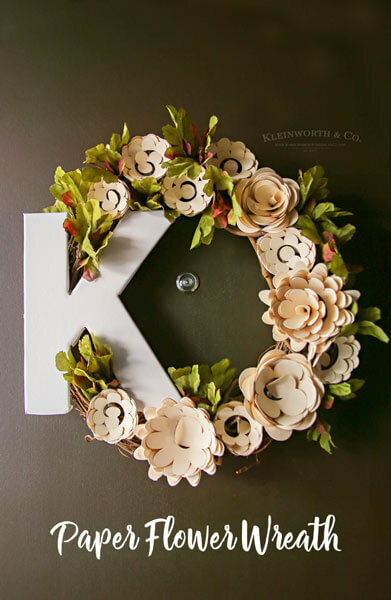 Looking for more fun ideas for using your Cricut? What a cute sign! 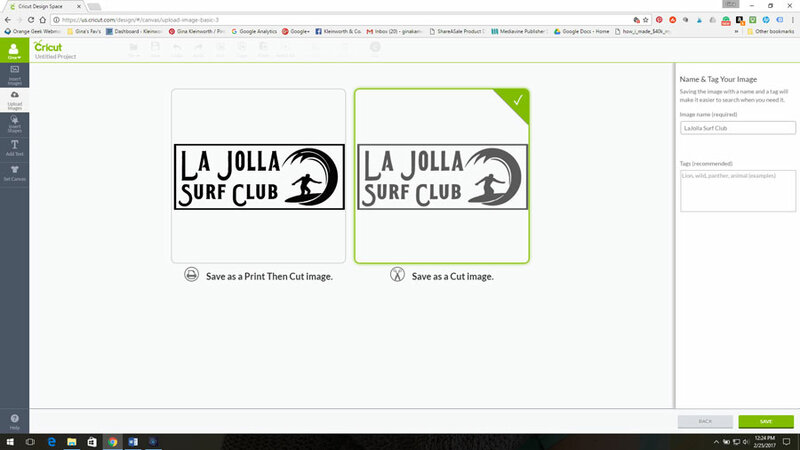 I love that we are able to upload our own images on the Cricut now!! The possibilities are endless! Thanks for sharing at Merry Monday this week. 🙂 Pinned!